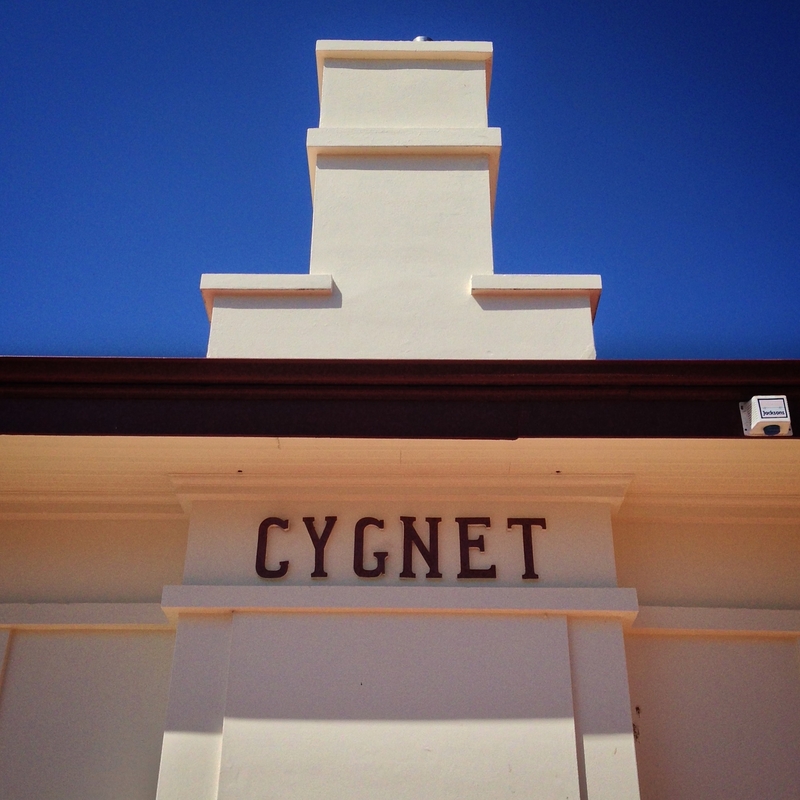 We love Tasmania, the last time we were in Tassie was for the Cygnet Folk Festival last year. For all you Taswegian Folks a list of our upcoming shows follows. Special thanks to Christina for organising all these awesome shows for us – with a little help from our friends……. “I’m A Stranger in This Town” original song by Slim Dime. Filmed by Peg Leg Productions. Director of Photography – Joshua Collings. 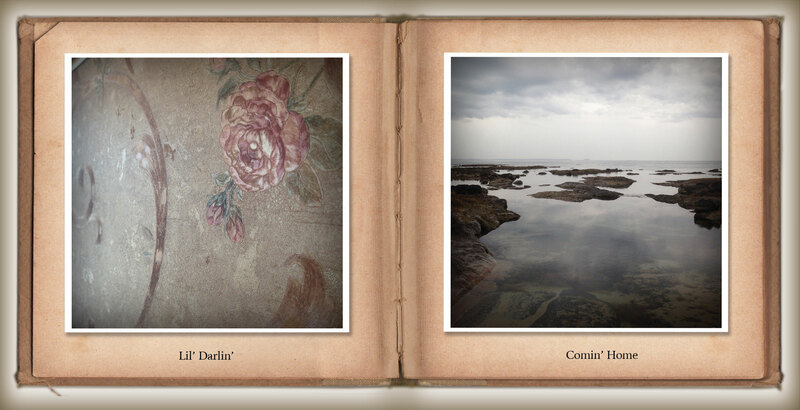 Camera A – Joshua Collings. Camera B – Tristan Pierce. 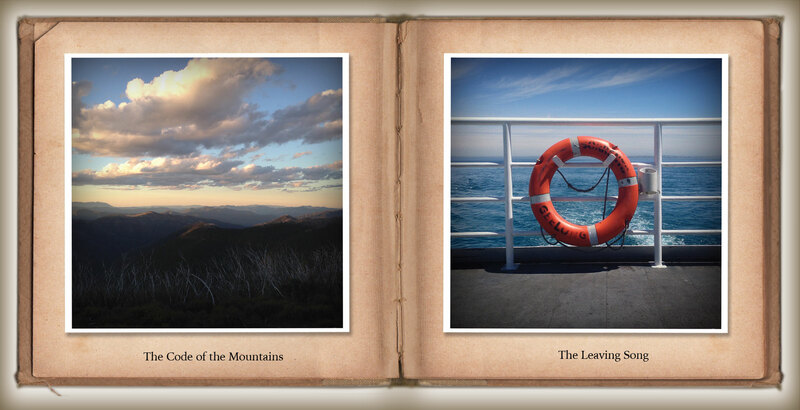 Post Production – Joshua Collings. 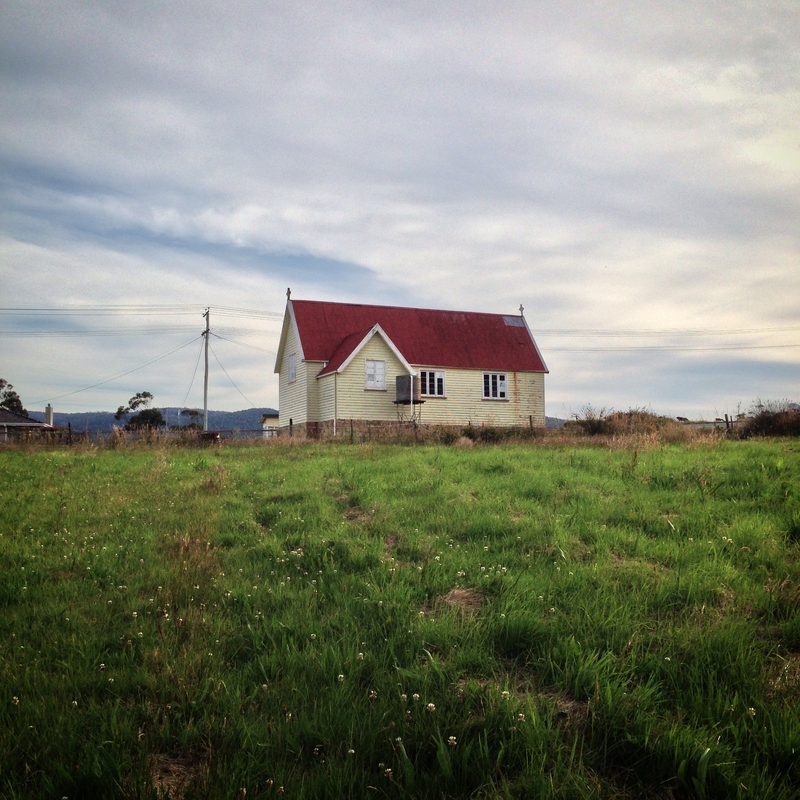 Sound Production & Mix – Stovepipe Studios – Matt Walker & Rowan Matthews. 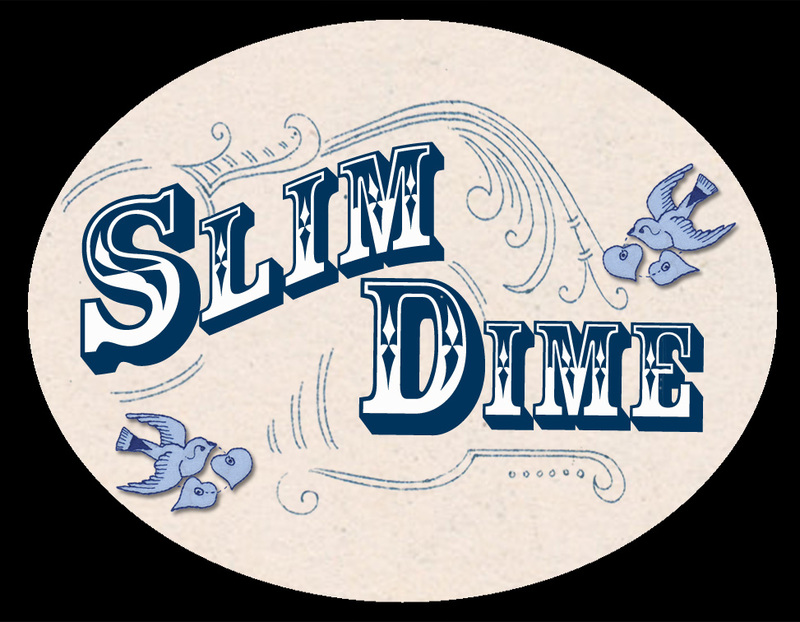 “Jump Up Jimmy Creek” original song by Slim Dime. Filmed by Peg Leg Productions. 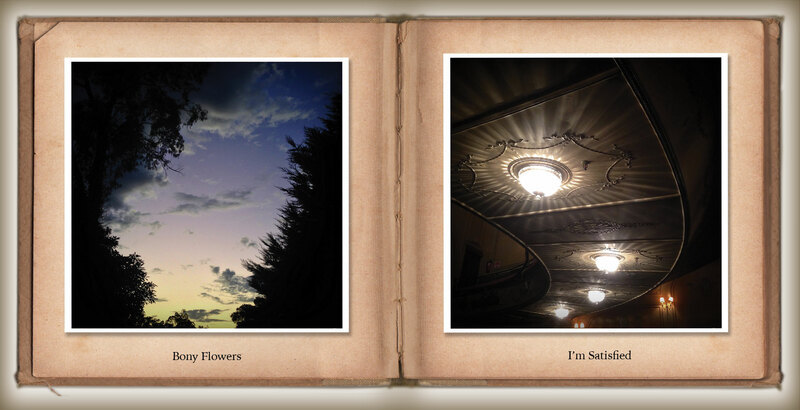 We’re heading to (R)Adelaide for a couple of shows in mid May – should be a hoot. 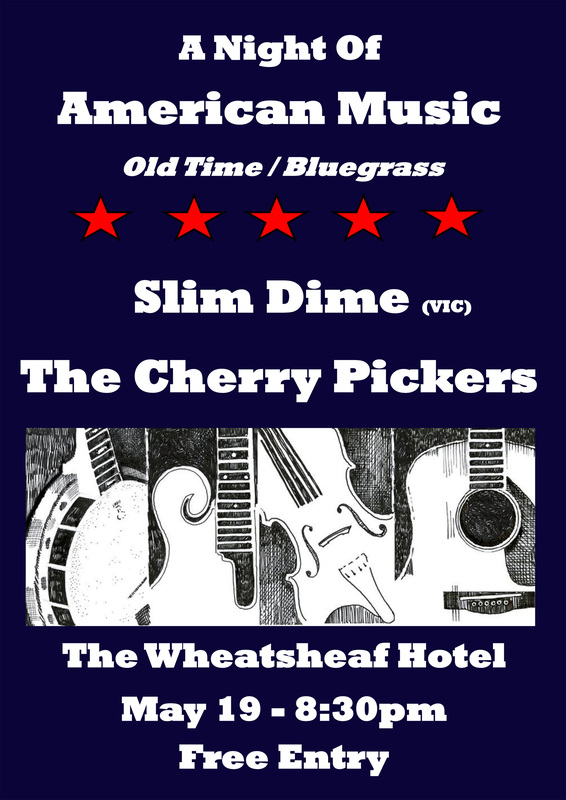 We’re teaming up with local bluegrass band – The Cherry Pickers for a night of mountain music mayhem at The Wheatsheaf Hotel on Friday 19th May. 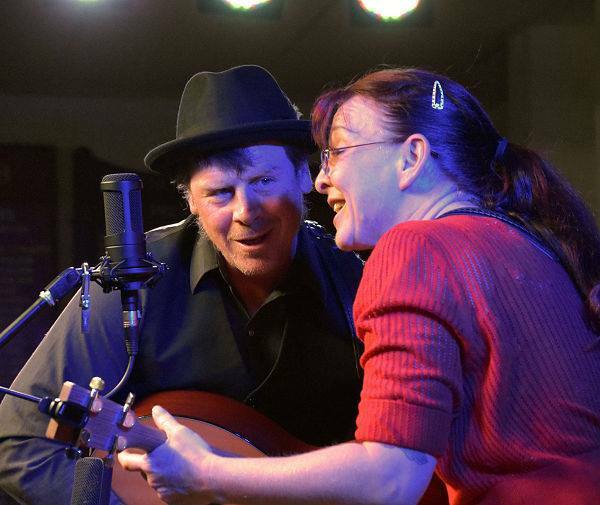 We met The Pickers last year at The Wirrina Bluegrass and Acoustic Roots Festival and thought it might be fun to do a show together! 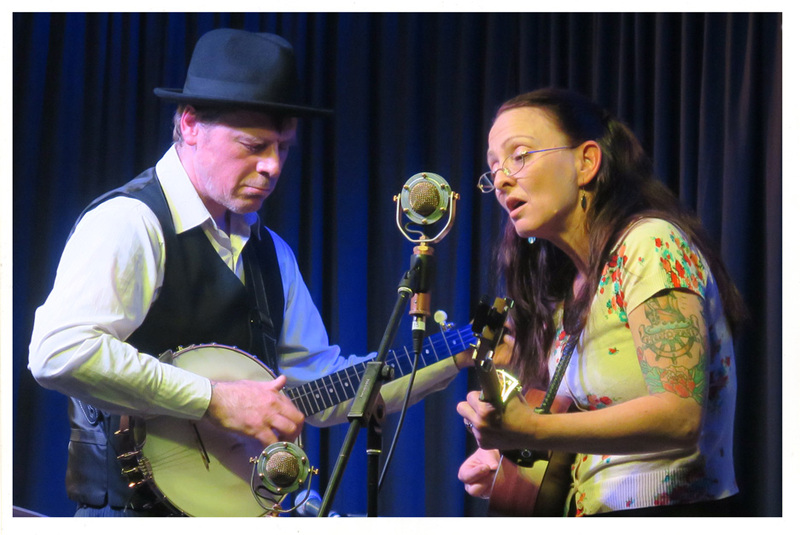 They are an awesome group of musicians and we’ve thoroughly enjoyed their CD “Hand Picked” that features some really excellent versions of Australian songs done in a bluegrass style. We love to support and play on Community Radio whenever we can – it’s the forum that most supports the kind of music we make and it allows us to reach new people. 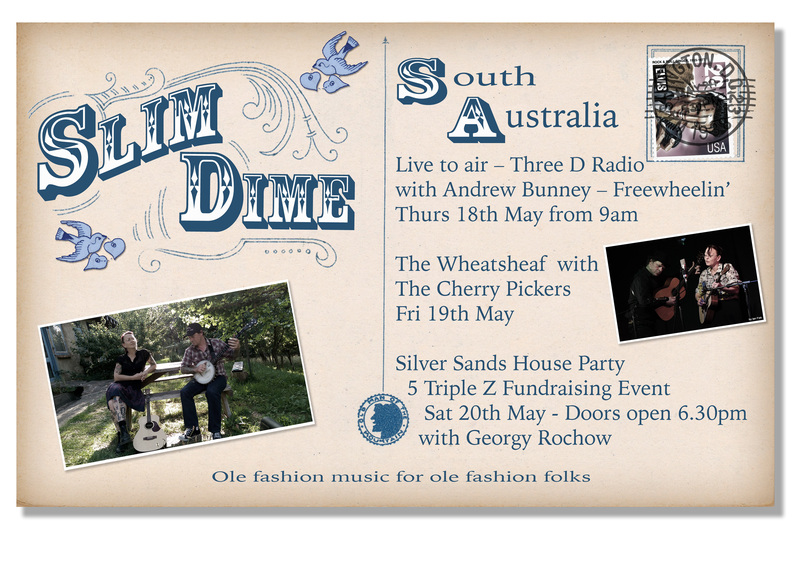 We were very lucky to meet Andrew Bunney last year at our CD Launch and he has invited us to appear on his Radio Show – Freewheelin’ – on Three D Radio on Thursday 18th May from 9am. He’s requested some banjo so we’ll see what we can do! We met Cheri Dean also last year at The Wirrina Bluegrass and Acoustic Roots Festival and she was kind enough to interview us on her show on 5 Triple Z out of McLaren Vale in South Australia. She has invited us to participate in a fund raising event with local musician Georgy Rochow. 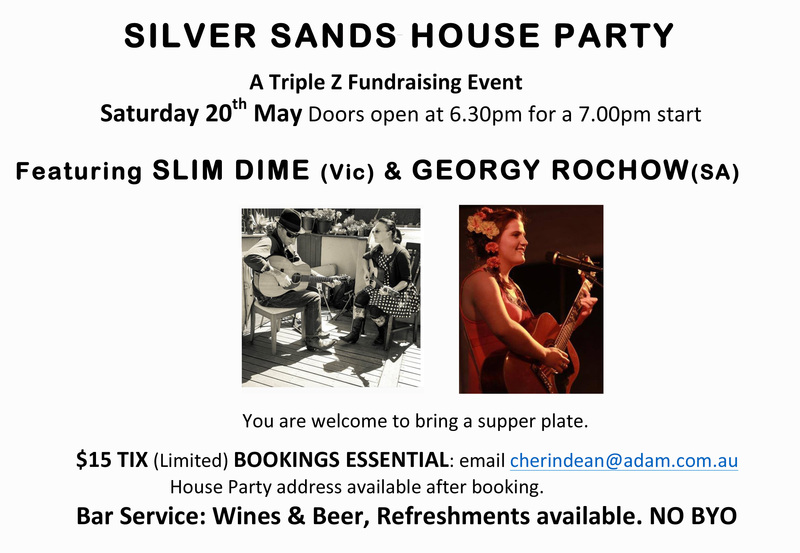 Silver Sands House Party – Saturday 20th May – Doors open at 6.30pm for a 7.00pm start. 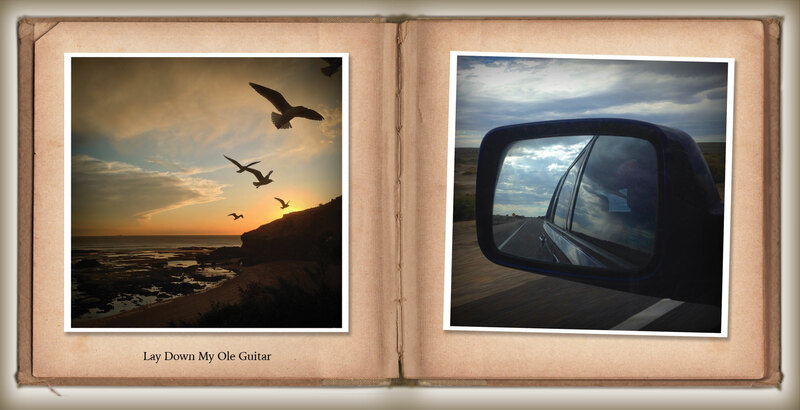 Adelaide is Rad to visit – and you South Australian types can purchase our Cds at the most excellent store Mr V Music in Semaphore – worth a visit to get your top quality music fix! 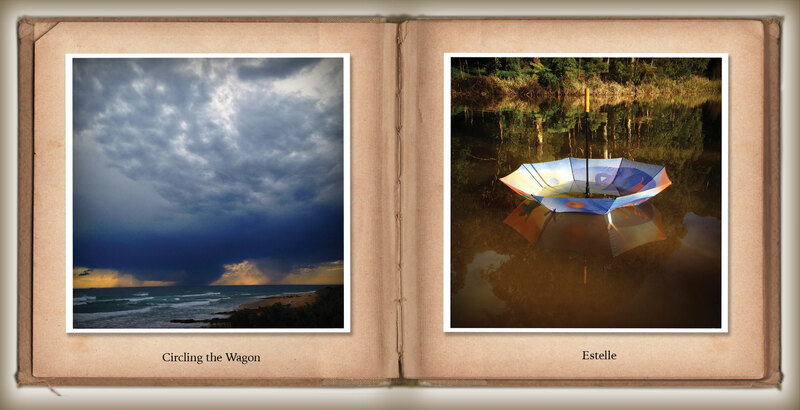 Travelogue – we’ve got wings and we’re ready to fly! 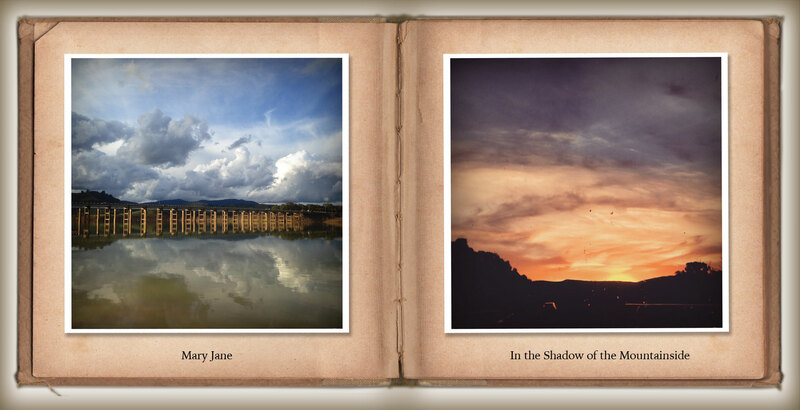 A travelogue is a record of a journey: an account of roads traveled and places visited. This is a catalogue of stuff we’ve seen, heard and done. 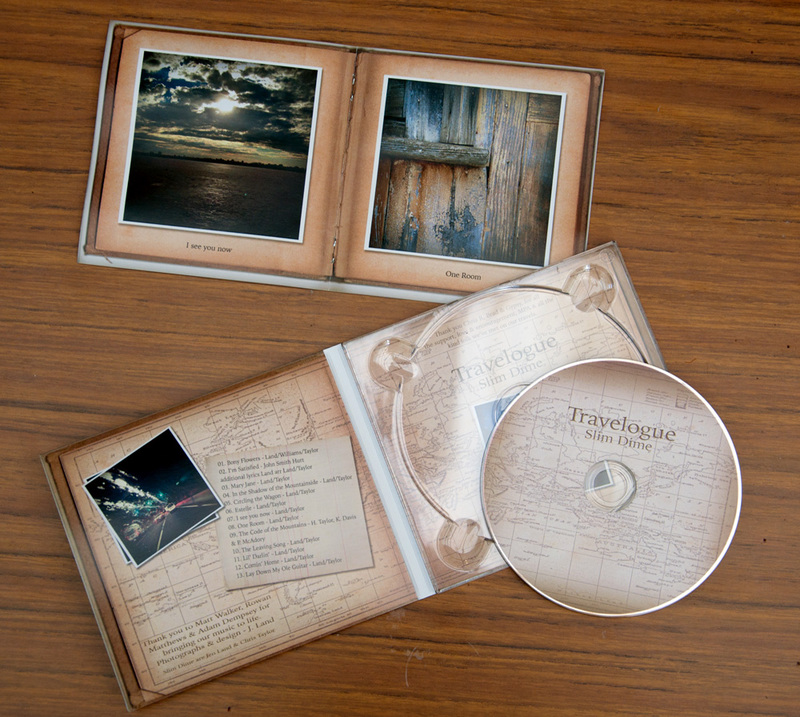 Some of the songs are old, written years ago but never recorded, some of them we wrote specifically for this album. All of them were recorded live, with no overdubs. You can hear a chair creak, breathe and finger on fret board. 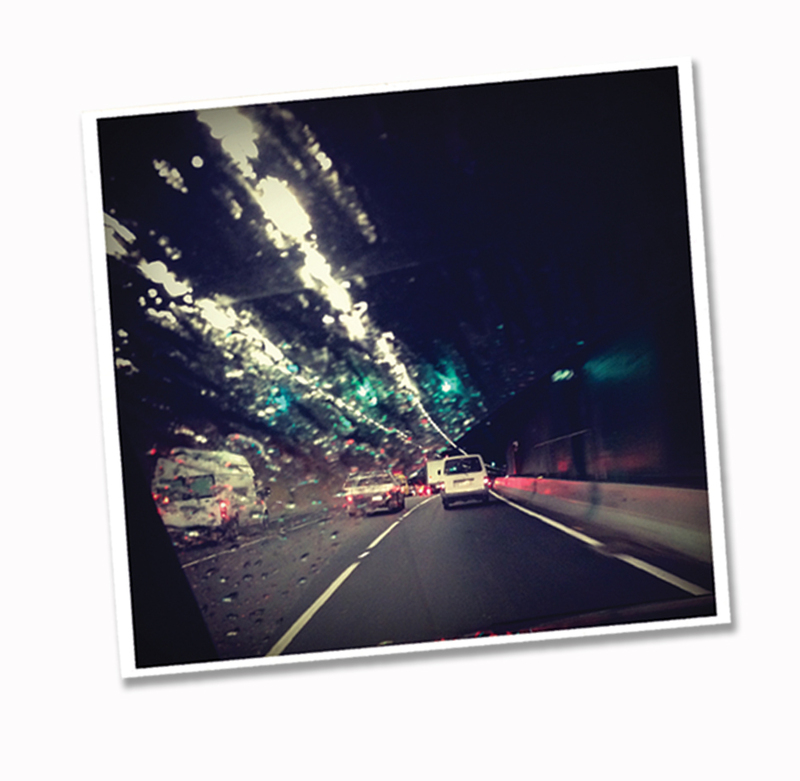 Our songs are about being humans on the road of life. 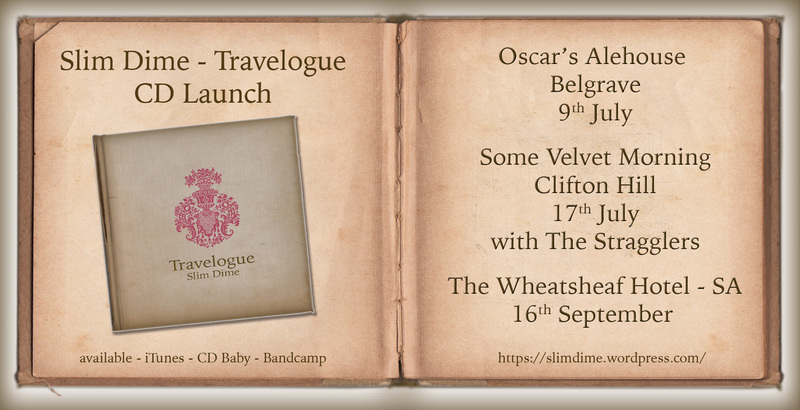 It’s customary to “Launch” a new CD so we’d love to invite you to celebrate with us. 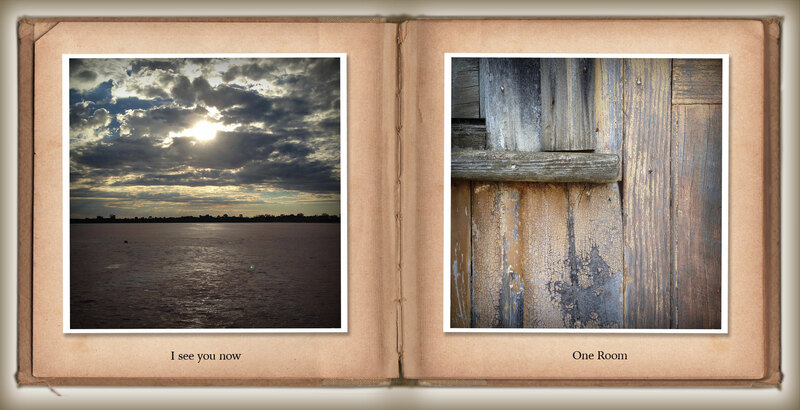 thanks to Denise Hylands and David Heard! Making a CD is a collaborative process and we’d like to take the opportunity to thank everyone that helped us on the road. All 13 songs were recorded live by a collection of beautiful vintage microphones by Matt Walker and Rowan Matthews at Stovepipe Studios, the album was produced by Matt Walker and mastered at Deluxe Mastering by Adam Dempsey. Our current bio was penned by Elizabeth Williams. 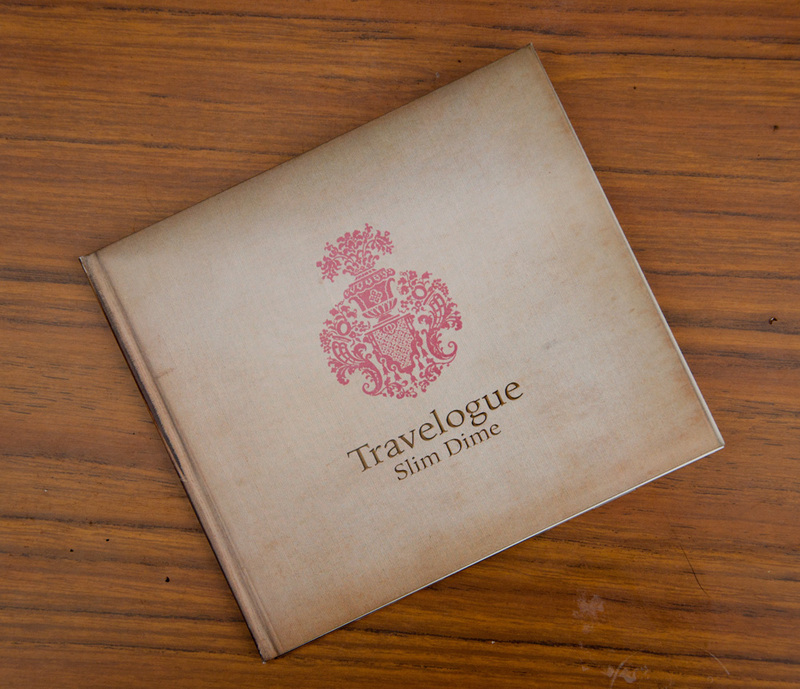 To listen to Travelogue go here. Folk ask about our lyrics – so here they are…………. Bless my Soul what’s wrong with me? that yr holdin’ in yr fist? from the lips that I have kissed? washing all the dregs of beer and ciggies down the sink. It’s the tail end of a long night, the kind that just won’t end. The same old crowd of punters driving her right round the bend. Sam’s still sitting at the bar, been sitting there all week. His Mrs upped and left him after 13 angry years. He shoulda seen it coming: he couldn’t be surprised. stuck it out together through the heartbreak, laughs and tears. that happy young man that she married - vanished into dust. quiet daggers stabbed in backs using just their eyes. Judy’s gonna stick it out, doesn’t wanna quit. She’s gonna keep on hanging on to get her little bit. and if she doesn’t get it, well, maybe she’ll sue!